Modern bathroom scales are a far cry from yesterday’s models. Mechanical scales, once the only kind you could buy, are still available and are still favored by some. However, these scales also have some downsides. They display weight with an analog dial and needle pointer, which introduces some imprecision compared to digital displays (see below). In addition, the inner workings of a mechanical scale can be surprisingly delicate, made up of small pieces, including springs that lend themselves to wear and tear, introducing inaccuracies. 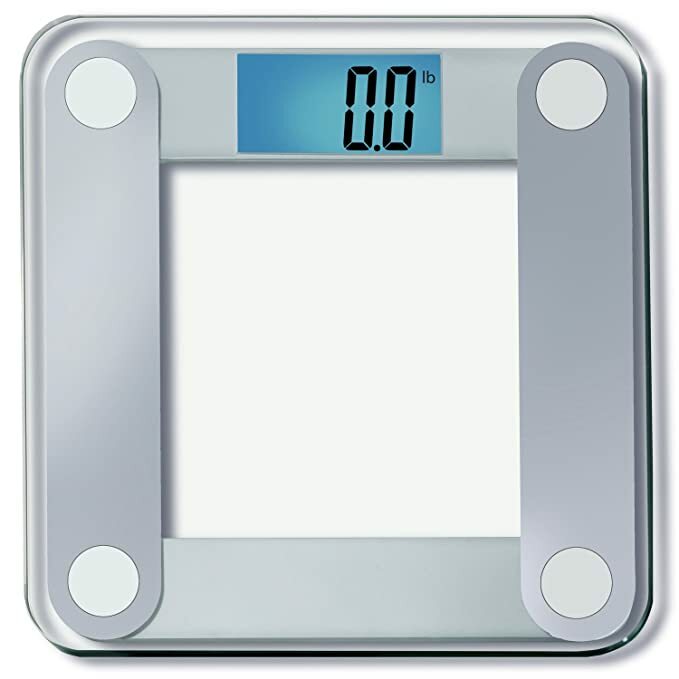 While mechanical scales are purely mechanical in nature, digital scales use load cells to convert the physical weight on the scale to an electrical signal that’s displayed on a readout with a precision that’s as close as a tenth of a pound. In addition to greater accuracy, the advantage of having weight represented by an electrical signal is that it allows for a lot of added functionality. Some of that is fun stuff — like the ability for the scale to speak your weight aloud, though those that are overly self-conscious about their weight might not find that a particularly helpful attribute. Other features are more useful, however. Some digital scales will also display your Body Mass Index (BMI), a measure of fitness that’s based on your weight and height. Some are body fat scales, sending small electrical pulses through a user’s body in an attempt to gauge body weight/density. Smart scales are digital scales that take things a step further. They wirelessly connect to a smartphone, tablet or directly to the Internet via Wi-Fi and/or Bluetooth, and integrate with compatible apps and web sites to help you keep tabs on your overall fitness. Data transmitted includes weight, of course, but often other measures such as body fat, BMI, and more, such as heart rate. Many smart scales include built-in memory to store multiple user profiles and allow a single scale to serve the needs of an entire family. Some can display information collected from the web, such as the predicted weather. While mechanical scales are still very much available, digital scales tend to score more favorably in user and, especially, expert reviews, and are the best choice these days for most buyers. To find the best basic, body fat and smart digital scales, I turned first to a bevy of experts, including ConsumerReports.org, TheSweethome.com, Good Housekeeping and others, putting the most weight (pun intended) on those sources that perform hands on testing. I also looked at the extensive user reviews available at sites such as Amazon.com, BestBuy.com, Walmart.com and elsewhere. These user reviews help us fill in the gaps regarding factors such as real-world ease-of-use and long term reliability. 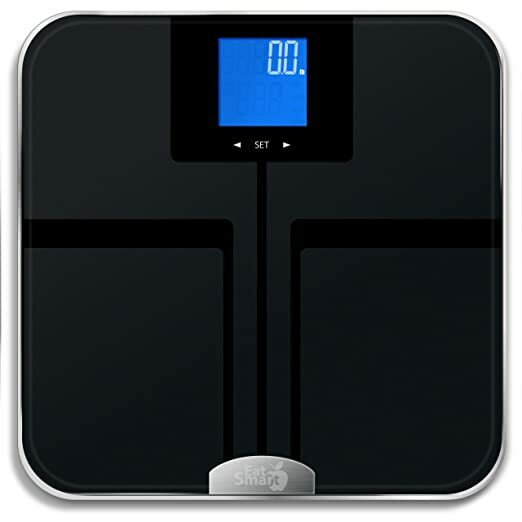 The results are my selections as the Best Reviewed bathroom scales for any user and any budget. The EatSmart Precision Digital Bathroom Scale lacks much in the way of bells and whistles, but offers everything you need in a modern bathroom scale. It’s easy to use, easy to read, economical, and reasonably accurate. Its 400 pound weight capacity makes it suitable for most individuals, and its clear glass platform fits in with most bathroom décor. A tape measure so that you can also keep track of inches, hopefully, lost is also included. The EatSmart Precision Digital Bathroom Scale is a solid performer with good accuracy and reliability in a sleek, attractive package. It’s easy to use, with no tap-on required to calibrate the scale before use and a large, backlit display for readability. The company has also established a track record for proactively reaching out to users that report less than perfect satisfaction to make sure any issues are fully addressed. Excellent performance. While the experts at Good Housekeeping say that the EatSmart Precision isn’t the most accurate it has tested, most owners don’t share similar quibbles. User reviews regarding accuracy largely say they are pleased. Among those that aren’t, EatSmart offers responsive customer service, contacting each reviewer leaving negative feedback at Amazon.com to address concerns; in some cases even sending along a free replacement when one wasn’t requested. The majority of those users come back to report that their new scales are highly accurate performers. No tap-on calibration necessary. The EatSmart Precision Digital Bathroom Scale couldn’t be simpler to use. One issue with earlier versions was that they required a toe tap to turn on and calibrate the scale, but that’s been eliminated in a 2014 update. The scale’s large 3.5-inch backlit display offers easy readability, even in dim lighting conditions. Strong track record. The EatSmart scale has been available for quite a few years, and feedback indicates that while some initial quality issues are not unheard of, those are usually quickly addressed by the company. We also saw lots of user reviews at Amazon.com that reflected long-term use, often after several years, and most owners say that their scales are still going strong. The Precision digital scale is backed by EatSmart’s two-year guarantee. Sleek, slim design attractive in any setting. Users praise the EatSmart Precision’s slim, sleek appearance, which they say fits in well with nearly any décor. The 12- by 13-inch platform isn’t the best for large users, but helps keep the footprint small, a plus in a tight bathroom. Experts say that while home body-fat scales are all challenged when it comes to accuracy, the EatSmart Precision GetFit Digital Body Fat Scale performs as well as the top models, and outperforms many when it comes to accurately and consistently measuring weight. It’s attractively styled, too, with a slim profile that matches it slim price — at least compared to other body-fat scales. Ease of use is terrific, too. The EatSmart Precision GetFit Digital Body Fat Scale offers four measurement modes: weight, body fat, bone mass, and body water. While, like all home body-fat scales, body-fat measurements should be looked at more as a guide than as gospel, it’s otherwise accurate and highly affordable compared to similar products. Setup and use is easy, and the scale can track the data for up to eight users. While there are some complaints of malfunctioning units, EatSmart is known for its superior customer service. Mostly terrific, but take body-fat measurements with a grain of salt. Because of the technology used, experts are nearly unanimous in saying that home body-fat scales can’t do more than a fair job, at best, of measuring body fat. However, the EatSmart Precision GetFit Digital Body Fat Scale compares favorably to even those body-fat scales that cost considerably more in that regard, and often beats them in other ways. “One of the less expensive advanced body analysis scales, this model worked comparably to our top performers, weighing subjects both accurately and consistently,” Good Housekeeping says. The GetFit can track body mass, body water, bone mass and muscle mass based on a user’s weight and other settings that manually entered (height, lifestyle considerations) but, notes About.com, it can’t display a Body Mass Index reading. Simple to setup and intuitive to use. 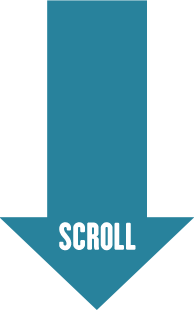 This scale must be set up before use by inputting statistics for each user, but most owners agree that setup is a cinch and typically takes less than 10 minutes. Reviews also praise this scale’s ability to track up to eight users, making it simple for multiple family members to monitor their personal weight loss and fitness goals. Amazon.com owners consistently give kudos to the large (3.5-inch), backlit display and ample platform. Step on technology eliminates the need to tap the scale to calibrate it before stepping on it for a measurement. Durable product, excellent customer service. Users posting reviews of the EatSmart Precision GetFit on Amazon.com generally praise construction quality. Like most EatSmart scales, there are some users who report getting a defective unit. However, EatSmart is known for its superior customer service, and many received replacement products — sometimes without requesting them — that have functioned flawlessly for months or years. The EatSmart Precision GetFit Digital Body Fat Scale is backed by EatSmart’s two-year warranty. Sleek, modern finish looks great in any bathroom. The EatSmart Precision GetFit Digital Body Fat Scale has a sleek, modern look that owners love. It’s available in either black or white, with a tempered glass platform and chrome-like sides and bottom. Tech-savvy buyers will find the Withings WS-50 Smart Body Analyzer lives up to their standards. It measures weight, of course, as well as body fat, and has a few extra tricks up its sleeve — including the ability to measure indoor air quality and display weather forecasts. Connectivity is via Wi-Fi or Bluetooth. It is compatible with many third-party mobile and web apps, or you can use Withings own app, which draws kudos of its own. 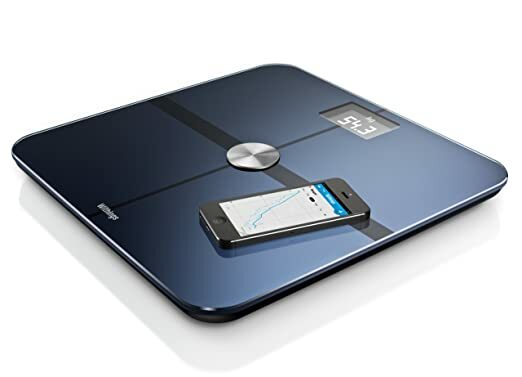 The Withings WS-50 smart scale is a top choice for the tech-savvy user that want’s a connected scale to keep track of their weight and more. It’s versatile, with both Wi-Fi and Bluetooth connectivity, and the ability to play nice with third party apps — though reviews say that its own app is powerful enough for most users. Testing shows that the WS-50 is highly accurate when it comes to weight measurements, and no less accurate than other home scales when it comes to measuring body fat. While most users are satisfied, those that run into issues say that customer service is often unresponsive. A high-tech, accurate performer. The Withings WS-50 Smart Body Analyzer is no ordinary scale. It’s a connected smart scale that can share its measurements via Bluetooth or Wi-Fi. You can use your favorite third party app to track your progress, or use Withings’ own app, which draws praise for its usefulness and versatility, including the ability to accept data from other apps and devices. For those with massive self-confidence, the Withings app can even tweet out your progress to the world, if that’s something you’d actually like to do. When it comes to measuring weight, no scale does better in expert reviews, and TheSweethome.com calls it the most accurate scale it’s tested. It’s also one of the few scales that testing shows to be reliable on a variety of floor surfaces and coverings, including carpeting, according to Elizabeth Palermo at Livescience.com. Body-fat measurements, on the other hand, are no more accurate than other home scales — a limitation of the technology they all use — in other words, fair at best, though that’s still better than many body-fat scales. The scale can also capture and record room air quality and temperature data, and even display that day’s weather forecast. Setup is a cinch — most of the time. Connected devices often pose challenges to users when it comes to getting that connectivity to actually work, and the WS-50 is not immune from that — and, no surprise, the challenges are especially steep for those connecting via Wi-Fi rather than Bluetooth. However, if you don’t run into those issues — or can overcome them — everything else seems to go as smooth as silk. “Setting up the Withings scale was refreshingly simple,” says Palermo, who adds that Bluetooth pairing with her smartphone was actually easier than with other smart scales in the Livescience.com test. The WS-50 can automatically track up to eight users, with the initials of the user appearing in one corner of the 2.9-inch backlit display so you know you are using your profile rather than someone else’s. Spotty customer service. Although Withings offers a one-year, limited warranty, some owners indicate that customer service is slow or completely unresponsive. Reports of units that failed prematurely are not uncommon, though don’t appear to be higher than with similar products. Appealing, sleek, modern and shiny look. Reviewers agree that the Withings WS-50 is attractive, with an elegant glass surface. “We like its sleek all-glass top, which will look up-to-date on any bathroom tile floor for years to come,” says Laptop magazine’s Mike Prospero. 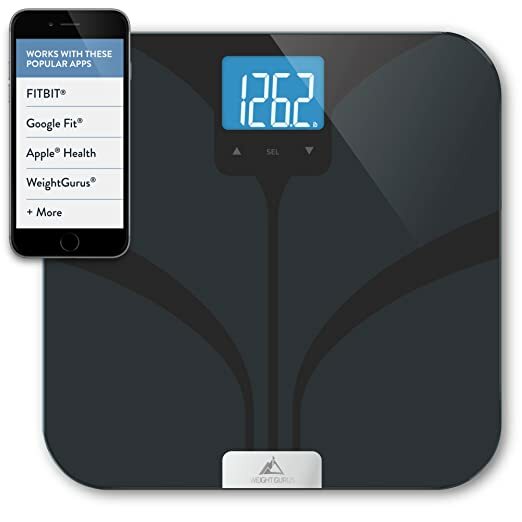 Experts quibble a little over its accuracy and sensitivity, but the consensus is that the Weight Gurus Bluetooth Smart Connected Scale is a competent performer and a terrific value. 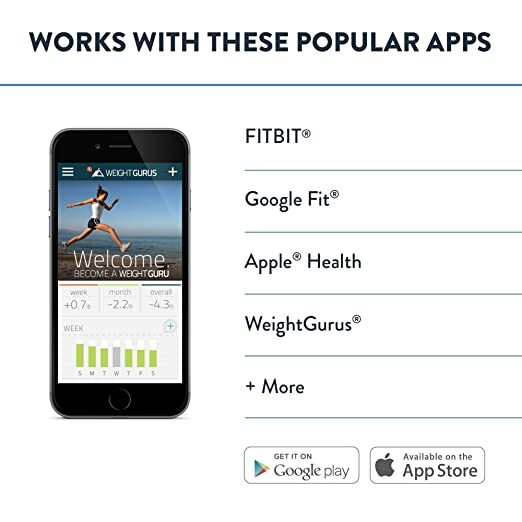 The Weight Gurus app is well regarded, and the scale seems to be less prone to user issues regarding smart features and connectivity than some competing products. The Weight Gurus Bluetooth Smart Connected Scale rates 4.4 out of 5 stars on Amazon with over 800 customer reviews.